Imagine being charged with a serious crime and knowing that you won’t be able to afford legal representation. 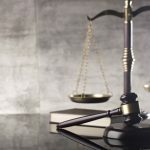 The consequences of being found guilty could be severe, potentially even imprisonment – and without a good lawyer acting on your behalf you might find it difficult to be successful against a well-resourced and experienced prosecution. For just this reason, Legal Aid has operated as a “safety net” to provide for those who can’t afford to pay for a private lawyer. 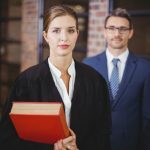 Legal Aid helped over 900,000 Australians last year alone, and while not all of those matters involved criminal charges, Legal Aid is fundamental in providing a fair trial to many defendants who might otherwise need to represent themselves in court. For many years, Legal Aid has suffered due to a series of funding cuts – which have forced it to implement stringent eligibility tests. 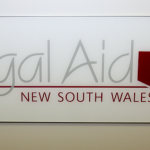 But after years of successive cuts to Legal Aid, this year’s budget has been a pleasant surprise, with $25 million being reinstated over two years for community and legal aid services. This is good news for many who might not otherwise be able to get access legal advice or representation. However, the budget did not go as far as some would have liked. 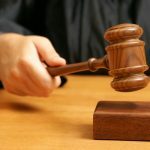 In the lead up to the release of the budget, Legal Aid called for an extra $200 million to cover significant increases in costs and demands for its services. Legal Aid has been suffering from under-funding for many years – meaning that not everyone who needs help can access its services. 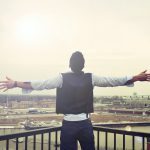 Applicants must meet strict requirements not only about their level of income and assets, but also the merits of their case, and whether or not they might face imprisonment. What about the other community legal services? 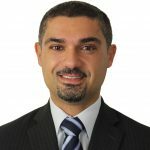 The Aboriginal Legal Service (ALS) which operates in NSW and the ACT had also been feeling the pinch in recent years. In the lead up to the budget, the ALS were preparing to make up to 40 of their lawyers redundant. 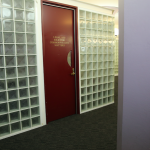 In fact, when the budget cuts started in 2013, many community legal centres were concerned that they would eventually have to close their doors. One such centre was the National Aboriginal and Torres Strait Islander Legal Services (Natsils), whose funding was due to expire at the end of June this year. Natsils has been in place for 42 years and the program runs on a modest $295,000 per annum. The chairman has been upset at the lack of certainty about its fate, thinking it would have to close. But thankfully for the program, the latest budget announced that it would be funded for another five years. These reprieves have come amidst concerns that there is a growing ‘justice gap’ between those who can afford representation and those who can’t. In the context of criminal law, the reduction in legal aid funding over the years has led to a growing number of people having to represent themselves in court – specifically, those who can’t pay a private lawyer but are ineligible for legal aid due to increasingly stringent means and merits tests. This has led to individuals having to face a well-resourced prosecution equipped with experienced criminal lawyers and expert witnesses. It is not hard to see how such a situation can result in innocent people pleading guilty, or being found guilty after a defended hearing. The much-needed funding boost is certainly a step in the right direction, although not nearly as much as hoped.